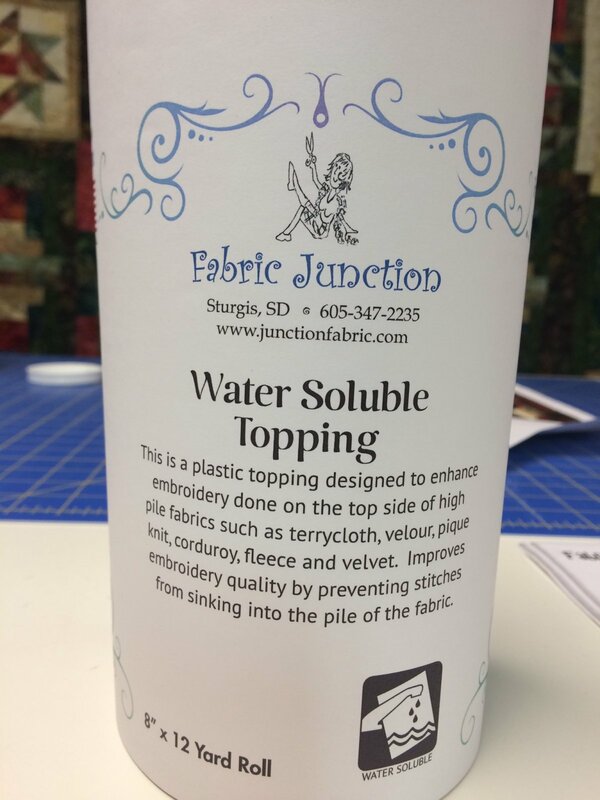 Introducing our own Fabric Junction Water Soluble Topping! This is a plastic topping designed to enhance embroidery done on the top side of high pile fabrics such as terry cloth, velour, pique knit, corduroy, fleece and velvet. Improves embroidery quality by preventing the stitches from sinking into the pile of fabric. 8" x 12 yard roll.